Before we begin, let's talk about the most obvious thing in regards to the 2013 Easton bats regardless of the league they are used in. Easton has made every top end bat in their line this year look incredibly similar and has carried both color and descriptions across all divisions of play. In other words, the "S1" in baseball, softball fastpitch, and senior league are going to be the same type of construction. It will be a 2 piece construction completely out of composite material and will be the top of the line bat in each of the divisions of play. This concept is found through the different variations of the bats, but with the same description and purpose of the equipment. 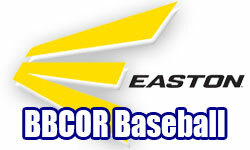 Let's start with the Easton BBCOR approved line for high school and College play. The brigade series comes in 7 models and each is designed for a different type of player and price point in mind. First, we have the "S" series which will be the BB13S1, BB13S2, BB13S3, and BB13S4. Each of these will look similar with the black barrel and yellow writing and will all swing lighter than the XL series but each is quite different. the BB13S1 or S1 will be a 2 piece bat with both pieces being composite. All of the composite used in the BBCOR line is the same IMX composite that Easton has used over the years with the only real difference in the composite being the Easton now makes the bat perform to the BBCOR standard. As a result, we consider the Easton Power Brigade bats "hot" out of the wrapper and ready to play with very little break-in required. The BB13s2 or S2, is going to be a 2 piece bat also, but the barrel will be THT100 alloy (metal) with a composite handle. The barrel design is done this way not only to give a different feel to the bat that is similar to what many players remember about the BESR versions, but it also allows Easton to balance the bat differently and lower the cost of the bat to make the S2 a mid-tier price point in their line. 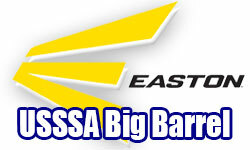 The BB13S3 or "S3", is a one-piece bat from Easton. The entire bat is made from their patented THT100 scandium (metal) and is a well-balanced metal alternative to the rest of the line. This bat is produced in smaller sizes (starting at 29") allowing a lot of transition players moving into the BBCOR division. a quality alternative with a well-balanced feel and a lighter swing weight get into the game. The final bat in the "S" series is the BB13S4 or "S4". This is going to be exactly the same as the S3 with the only real difference being that the diameter of the bat is 1/8th of an inch less. When we talk about a 1/8th of an inch smaller, remember that what we are taking away from the diameter or width of the barrel is about the thickness of a nickel. Certainly not a significant amount of material, but again, will open up the market to a lot of transitional players moving into the BBCOR certified division of play. This means that the player who is not a Division I type sized player in 7th or 8th grade but is now forced to play with a BBCOR approved bat an excellent choice in a well-performing piece of equipment. By reducing the material thickness, Easton is able to further reduce the bat weight feel during the player's swing and will allow for faster bat speed through the zone. The S4 is identical in composition to the S3 and is the same THT100 scandium alloy (metal) in a one-piece construction. That rounds out the BBCOR "S" series. In addition to the "S" series is the Easton Power Brigade "XL" series. Exact same construction as their "S" series counterpart, but with what Easton has created in the XL, or extra long barrel construction. The XL series is available in a BB13XL1 "XL1", the BB13XL2 "XL2", or the BB13XL3 "XL3". As described before, the XL1 will be the same construction as the S1. The XL1 will be a 2 piece composite construction. In the XL2 the bat will be 2 piece construction with a metal barrel and composite handle, and the XL3 will be the one-piece metal construction like the S3. The biggest difference comes from the length of the barrel area giving the XL series a larger hitting surface and a larger "sweet spot" for best hitting performance from the materials. Just remember that in order to get the longer barrel and bigger hitting area, the balance of the bat is going to be a little more towards the barrel. The will create a top-heavy feel in the bat despite it weighing the same difference of 3 oz less than the inch. Although there are many good things that come with the XL series of bat, the player should make sure that the change in how the weight of the bat is distributed will not hinder the batter's bat speed. if you have the opportunity to swing the XL series prior to purchase as they do at CloseoutBats, it is certainly in your best interest to make sure that you are strong enough to swing the XL series from Easton. Senior League bats are bats that have the large barrel but are not approved for play in High School or College because they are lighter than the BBCOR approved minus 3 difference. The senior league brigade bats will be very similar to the BBCOR in name, appearance and color. The only difference will be what the differential, minus, or drop of the bat will be. All high school or college bats will have a difference of 3 between the length and the weight. For example, a 33" high school or college bat will weigh 30oz or a difference of 3 from the length. The brigade senior league bats will have a difference as large as 10 or as small as 5 depending on the model. We will go over each model and their differential as we discuss the model and their features. Just like in BBCOR, senior league has an "S1", "S2", "S3" and an "XL1", "XL2" and "XL3". The SL13S110 or the Senior league S1 will be a 2 piece composite construction and will have a difference of 10 from the length of the bat. This means that the Senior League S1 in 32" will only be available in a 22 oz weight. This is very important when it comes to choosing a bat for the senior division of play. Some league will specify that you must use a certain difference or drop in order to play in their league. Even though you may want the Easton Senior League S1 you may not be able to use that bat in your league. Always confirm with your league what the bat specifications are prior to purchasing your bat. Next in the line will be the SL13S210 or "s2" -10. Again, this will be a 2 piece bat with the barrel being a metal alloy and the handle being made of composite and will have a difference of 10. The last model in the "S" series senior league will be the SL13S310 or senior league S3. It will be a one-piece metal alloy bat with a difference of 10. Next in the senior league level will be the XL series. First in Easton's line will be the SL13X18 and the SL13X15. Both of these are considered XL1 and both will be 2 piece composite bats. What is different between these 2 bats are the weight differences from the length. They are either a difference of 8 or 5 from the length. This means that a 30" X18 will weigh 22oz and the X15 will weigh 25oz. All of the XL series in senior league will have an extra long barrel with an increased hitting area to give the hitter a larger sweet spot on the bat. Just like we saw in the BBCOR version, the XL series may come with a longer barrel, which means it will also feel a little heavier towards the barrel which can reduce bat swing speed. The second level XL series is the SL13X28 or the Senior League XL2. The XL2 will be a 2 piece bat with a metal barrel and a composite handle. It is only available with a difference of 8 from the length in determining the weight. The third tier bat in the XL series of senior league will be the SLX39 and SL13X35. These bats will both come as a one-piece metal bat and will either have a difference of 9 or 5 from the length to equal the weight. All of the 2013 Easton Brigade series we spoke about will have the new USSSA stamp or "fingerprint" on the bat and are certified for play. As we mentioned before, please check with your specific league to double check the specifications, material type, and weight differences you are allowed to use in your league. Youth League bats are commonly referred to as Little League bats. 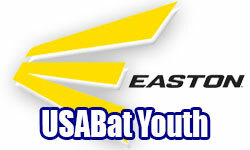 Again, Easton has designed the Youth League bats like the older division bats. There are both "S" and "XL" series and the construction of the bats are the same. As we saw in the senior league versions, each bat will have a designated negative or difference to the length that you will subtract from the length in order to know the weight of the bat. For example, if the youth bat has a difference of 12, you will subtract 12 from the length and that will be the weight of the bat. A 32" bat with a difference of 12 will weigh 20oz. Let's start with the "S" series which in youth there will be a YB13S1, a YB13S2, and a YB13S3. YB13S1 will be the youth S1 and will be a 2 piece composite bat with a difference of 12. The YB13S2 will be the youth S2 and will be a 2 piece bat with a metal barrel and composite handle. The youth S2 will be a difference of 13. The youth S3 will be one-piece metal bat and will come with a difference of 13. The XL series in youth will be just like what we saw in the other divisions of play. It will have the extra long barrel giving a larger hitting are to the surface of the bat as well as a larger sweet spot where the player will get maximum performance from the bat and its materials. As we discussed in the other areas of play, the XL series has great benefits to the hitter but a player must remember that with these benefits the hitter will feel more bat weight towards the barrel of the bat. Make sure that the player wanting to use the XL series is able to swing the XL series and gain those advantages without compromising their bat swing speed. At the end of the day, it doesn't matter what the bat is capable of doing if you don't hit the ball. The XL series in youth will be available in the YB13X1, the YB13X2, and the YB13X3. The YB13X1 will be a 2 piece composite like the S1 but will have a difference of 10 from the length. The YB13X2 will be like the S2 and will be a metal barrel with composite handle 2 piece bat but will have a difference of 11. Finally, the YB13X3 will be one-piece metal like the S3 but will be a weight difference of 11. Please remember that regardless of the length, the XL series will be 2ozs heavier than the same length bat in the S series version. 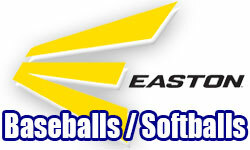 Fastpitch from Easton this year will have 5 high-end bats in their line and be similar in name and type as we found in the other divisions of baseball play. 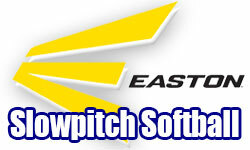 Easton will have an S series and an X series in fastpitch with subtle differences. The models in the S series will be the FP13S1 or FS1, the FP13S2 or FS2, and the FP13S3 or FS3. The FS1 will be a 2 piece composite which is replacing the familiar Stealth in minus 10 from last year. Similarly, the FS2 will be a 1 piece composite bat that will replace the Synergy bat in minus 10 from last year and the FS3 will be a one-piece composite replacing the Synge with a minus 11.5. All three bats are full composite and are top performers in the Easton line. The differences will be whether or not it is one or 2 piece construction and if you need a difference or minus 10 or 11.5. For the stronger girls that need a minus 9 bat, Easton has created 2 XL series bats to help. The FP13X1 or FX1 will be the minus 9 full composite 2 piece bat and the FP13X2 or FX2 will be the minus 9 full composite 1 piece bat. 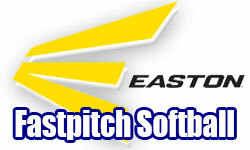 All of the 2013 Easton fastpitch softball bats are certified for all leagues of play and come with the new USSSA stamp or thumbprint on the bat. 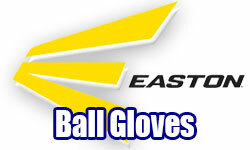 Easton sports equipment features:The Easton sports equipment includes Easton catcher's gear, Easton baseball gloves, Easton softball gloves, Easton batting gloves, Easton Adult Baseball Bats, Easton Senior League Baseball Bats, Easton Youth Baseball Bats, Easton Fast Pitch Baseball Bats, Easton Slow Pitch Baseball, Easton Wooden Baseball Bats and Easton Apparel. 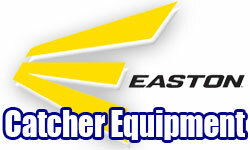 All these products of Easton sports equipment have unique features, excellent quality, inherent strength, durability and carry the experience of Easton for over eight decades in the manufacture of sports equipment. 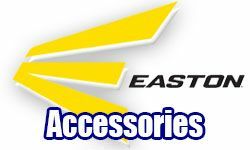 Easton has been updating the technology regularly to bring out only the best products. 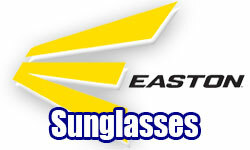 In the manufacture of Easton sports equipment, the company uses only the best quality material. It is for this reason that Easton equipment stands the rigors of time and lasts longer. It is the quality of Easton products which endears them to both professionals and amateurs alike. Easton sports equipment is reliable, efficient and durable. 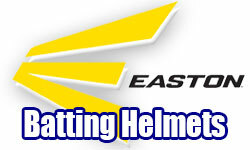 Easton has patented the material and the technology that is used in the manufacture of sports equipment. For example, in Easton bats, SC777 Triple Seven Alloy has been used. This gives a lot of strength to the bats. The two-piece ConneXion Technology provides the most efficient energy transfer from handle to barrel. In the manufacture of gloves, Easton uses the exclusive, embossed �Diamond Cabretta� leather which repels water and maintains softness throughout. The unique �Ergo Lock" feature provides the best custom-fit possible. The neoprene knuckle section improves comfort and increases flexibility. 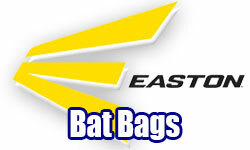 Easton sports equipment also includes Easton sports bat bags. These bags are very sturdy and durable and withstand rough handling. They are made of 600D polyester which is very strong and lasts long. 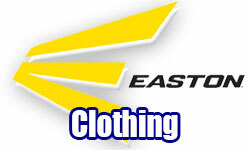 The Easton sports apparel includes jackets, pullovers, sweatshirts, and pants, all of which are made from fine material in captivating designs to appeal to players of all levels. The Easton sports equipment range comes in various sizes and models for all players to choose from. Buy once and use for a long time. 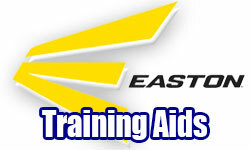 Easton Sports is a privately owned developer, manufacturer, marketer, and distributor of sports equipment for individuals of all ages and abilities. Easton does not solely rely on name recognition to build and maintain business, but rather focuses on its ability to innovate and create products of unmatched quality and design. Headquartered in Van Nuys, Calif., Easton employs over 1,000 worldwide and maintains facilities in Utah, California, Mexico, and Canada.